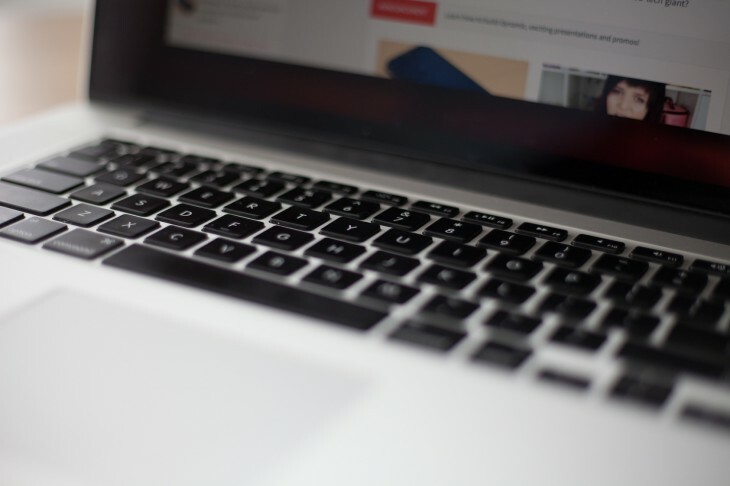 Apple announced new Retina display-equipped MacBook Pro laptops at its event last month, as well as the launch of the latest version of OS X, Mavericks. For this PC user, it was enough to finally make the jump from Windows to Mac for the first time. 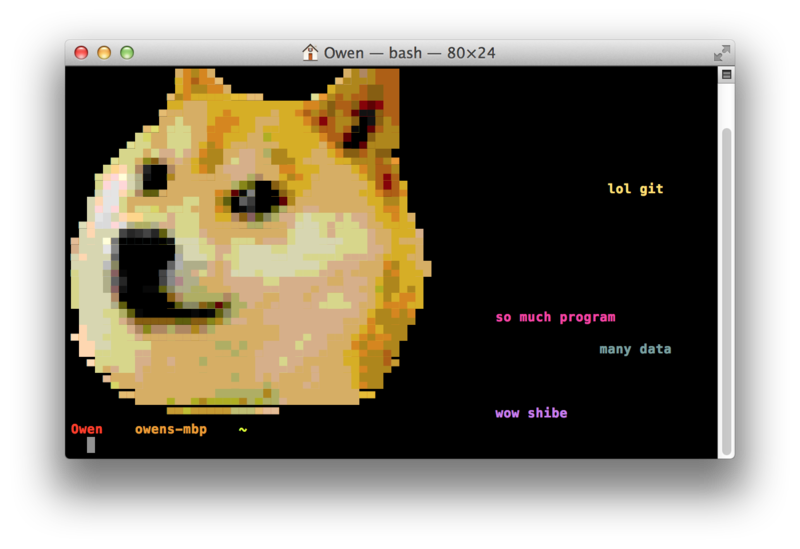 Almost everyone I know slowly switched to Mac in college, but I stuck it out with Windows. For a long time I thought it was the best choice of platform simply because purchasing a Mac seemed to be extortionately expensive compared with buying a PC desktop or laptop. I was wrong. After booting up for the first time it stood out to me that there wasn’t a longwinded setup process, nor was there any pre-installed junk on the machine. No advertising links on the desktop, no “free” Norton antivirus and best of all no drivers to install. The machine was ready to go out of the box, which is a nice change from setting up a Windows PC. 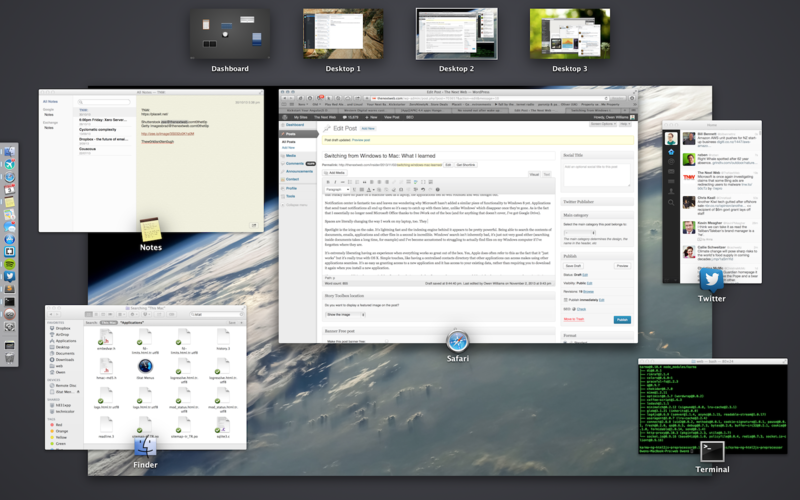 The applications that are bundled with Mavericks are pretty fantastic, Mail and Calendar work great. Messages integration with iMessage is perfect — especially if you have an iPhone — as is the Notes application and Reminders, which all work well together. For the last year I’ve been using Windows 8, which is a great OS but the bundled ‘modern’ applications aren’t anywhere near as well-rounded comparatively and really require a touchscreen to make them useful, so having beautiful built-in apps is a nice change. Unified notifications and the Notification Center are well-built pieces of functionality that leave me wondering why Microsoft still hasn’t added anything similar to Windows yet. I’m bad at clearing alerts from it, but at least I can catch what I’ve missed easily rather than going hunting for it. Spotlight search is extremely powerful and gives you access to everything on the computer in a second. It’s lightning fast and the indexing engine behind it is extremely fast, whereas I’ve found Windows’ search to be slow and generally disappointing (especially when searching large folders of documents). On the productivity front, it’s liberating to be free of Microsoft Office altogether. I’ve never been particularly fond of the slow, bloated feel of the desktop applications and barely use many of the more advanced features. The OS X mail application works with my Microsoft Exchange email, Pages can open any Word documents I’m sent and Numbers is perfectly fine with Excel spreadsheets. Occasionally there’s a snag converting a document but it’s nothing Google Drive can’t fix. Spaces are literally changing the way I work on my laptop, too. They’re great for helping separate projects from each other or work apps from personal apps. I keep one open with Mail, Twitter and other social networks and others for work and just switch between them as required. Being able to separate work applications from personal ones is powerful for helping focus on the task at hand. I’m extremely impressed with power management more than anything else. Apple says that the 15″ Retina MacBook will last around eight hours on battery and have found that Apple’s estimates are pretty accurate; I can get just over 8 hours when using Safari instead of Chrome for browsing the web and avoiding heavy energy draining applications. Mavericks makes this easy by pointing out which applications are using ‘significant energy’ in the battery menu. I’ve never had a Windows laptop that’s managed to get such extreme battery life out of a single charge. It’s changed the way I work; I no longer need to carry a laptop charger to the cafe when I do remote work. One of the biggest concerns I had with switching to Mac was that the broad collection of games I’ve gathered wouldn’t work. I’ve been pleasantly surprised by just how many exist for Mac, especially with Steam’s recent push to get app developers to write for both Windows and Mac. A good half of my collection has an official Mac version of their game, but for the other half I’ve taken to running them in a virtual machine, which works surprisingly well. In my very unscientific tests, I was able to install Civilization V in a Parallels virtual machine and play at full graphics quality without any issues with frame rate, which was impressive. I’d guess other games such as first person shooters wouldn’t work quite so well, but there’s always Apple’s own Boot Camp to help with that. It’s often said that Apple devices ‘just work’; something I’m finding to be true with OS X. AirPlay is especially powerful and works perfectly if you have other Apple devices (like an Apple TV) for quickly duplicating the screen with the TV for watching a movie. Other simple touches in OS X, such as having a centralised contacts directory that other applications can access makes using other applications seamless. There are some oddities that are painful at first. I struggled to figure out how to rename a folder (after becoming accustomed to using F2 in Windows to do it) and only discovered how after pressing the enter key to open a folder resulted in it being renamed. There’s also the jumbled keyboard keys — ⌘ instead of CTRL, for example — screwing up 20 years of shortcuts that two decades of muscle memory will struggle to forget. The other thing that I found confusing is the way that applications are installed. On Windows, everyone is accustomed to using a setup wizard but I’ve found it’s rare to encounter those on Mac. Instead, you have this odd metaphor where you mount a fake drive (DMG files) and then drag the app to the applications folder. 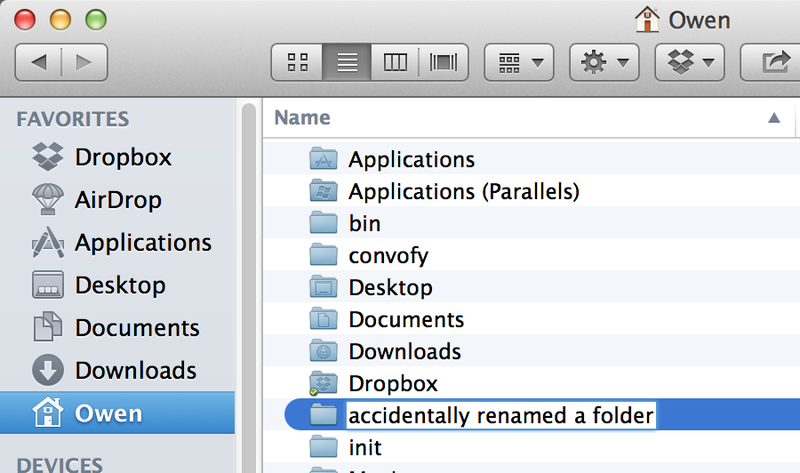 Of course, this isn’t actually explained to you and at first I was just running everything out of my downloads folder. That said, applications that are installed using the Mac App Store simply install themselves without requiring any drag-ad-drop or DMG mounting. Obviously this is Apple’s preferred method of distribution but I’ve found many application developers aren’t using it yet. I’m still yet to figure out how to manage windows properly without Windows’ “snap” functionality which allows you to drag an application to the side of the screen and it will automatically take up half of the screen. 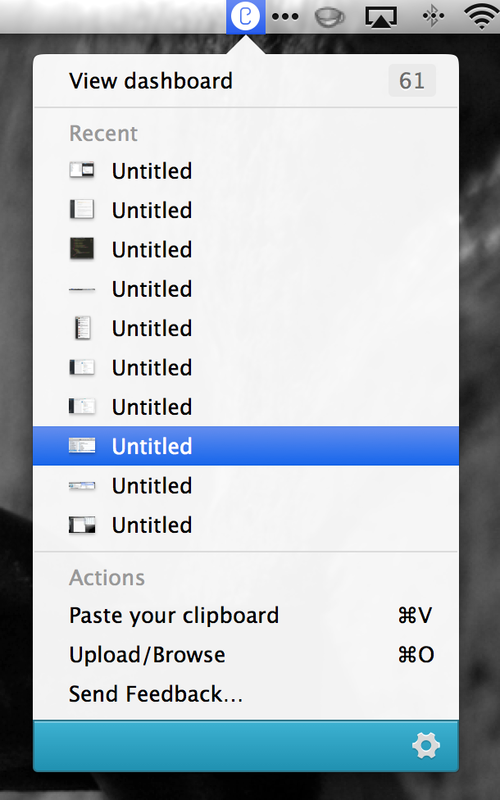 The OS X “maximize” button doesn’t seem to actually work properly and infuriatingly tends to just stretch an app up and down. There is a full screen button, indicated by two arrows on the upper right of a window, which essentially maximizes the window but hides all others behind a type of ‘stage’ view. I also ran into trouble with Boot Camp since it doesn’t support Windows 8.1 yet and was unable to install it. Apple is notoriously slow at updating to support new releases. In the end, I got it working by installing Windows 8 then upgrading to 8.1. Having become accustomed to Windows’ options, this was perhaps the hardest part of switching across. I didn’t know every great app off the top of my head anymore, nor is there a solution like Ninite to install all of the basics I required. Now that I’ve settled in and found a few, I have come to the conclusion that the quality of applications on Mac compared to those on Windows is much higher in general, especially in the UI/UX department. Developers seem to put more time and thought into how users will use them and the community surrounding many of them is extremely supportive, often willing to pay a good price for a quality application. I’ve fruitlessly searched for a good quality email application for years on Windows but have never found it. Outlook is terrible and the alternatives such as Thunderbird really aren’t that great. Airmail is the first email application that I actually love using, especially since it’s got full Exchange ActiveSync support on top of proper Gmail integration. It works great and is a steal at just $1.99 on the App Store or for free if you don’t mind using a slightly unstable beta. 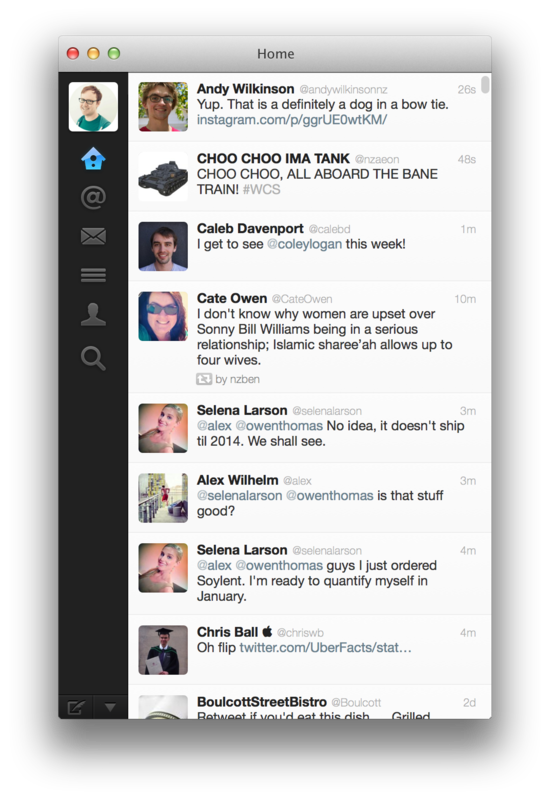 After religiously using Metrotwit for years on Windows, it was time to find something new. 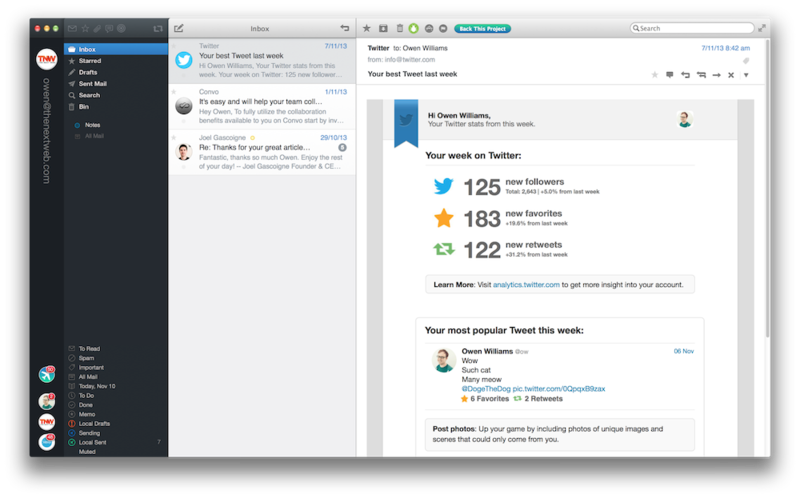 I’ve been pleasantly surprised by Twitter’s official application for Mac; it’s really good. Not only is it good, it’s also free on the App Store! It’s a bit strange that Apple doesn’t really offer a sanctioned way to hide applications from the menu bar, I quickly found it cluttered with icons I didn’t want to be seeing all day long. Thankfully, there’s Bartender which allows you to hide icons in a submenu or remove them altogether which helps manage clutter. Bartender provides a free trial for four weeks but then requires a $15US one time purchase. It doesn’t have ton of features but it’s extremely useful for local web development. 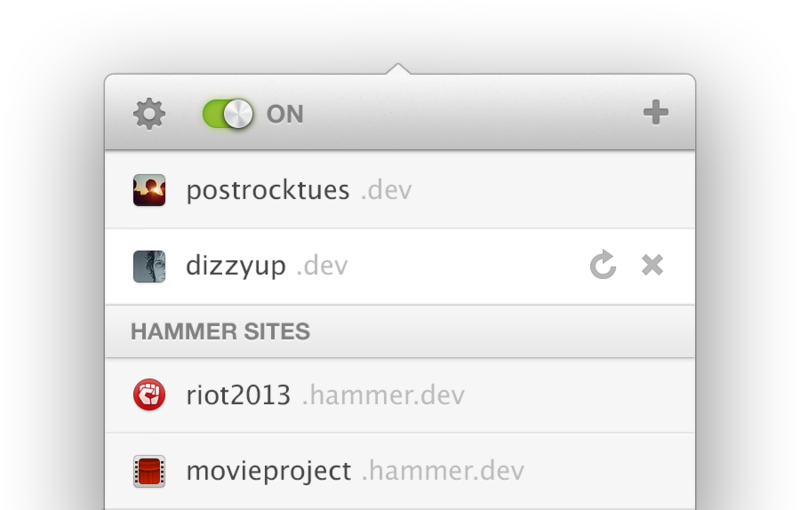 Anvil helps manage multiple development sites on your local machine by creating local ‘.dev’ websites you can access. Rather than mess around with config files, Anvil does the work for you and is completely free. 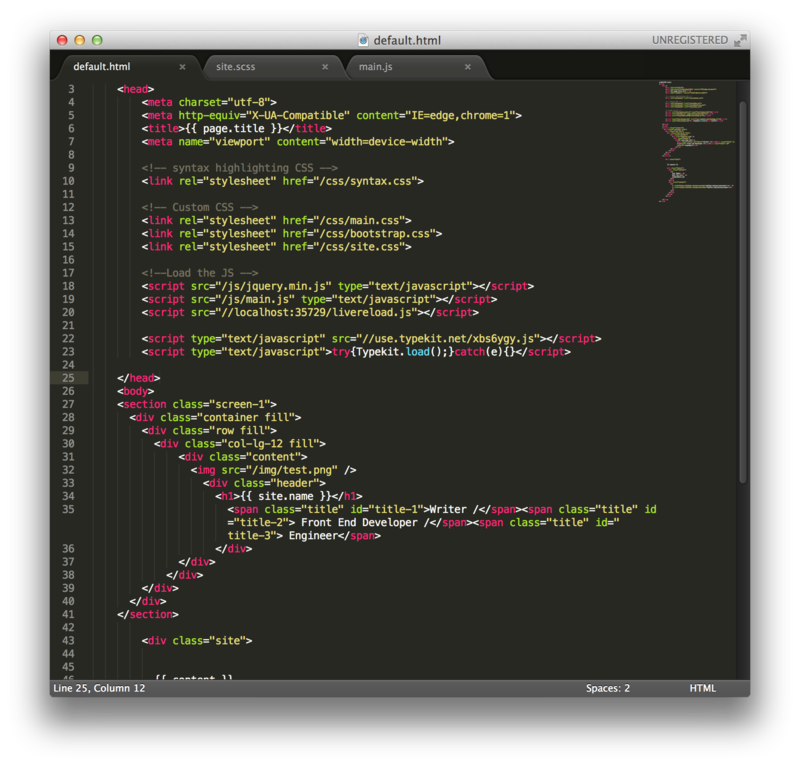 When it comes to writing code or simply editing text, the consensus seems to be that Sublime Text is the best tool for everything and I’d agree with that statement. It’s simple but extremely powerful. Sublime Text 3 has a free, unlimited evaluation but you’ll be nagged occasionally unless you buy a license for $70 USD. I’ve been using Brackets on Windows ever since the first publicly-released builds, and since it’s built in CSS + HTML, it’s a truly cross platform app. 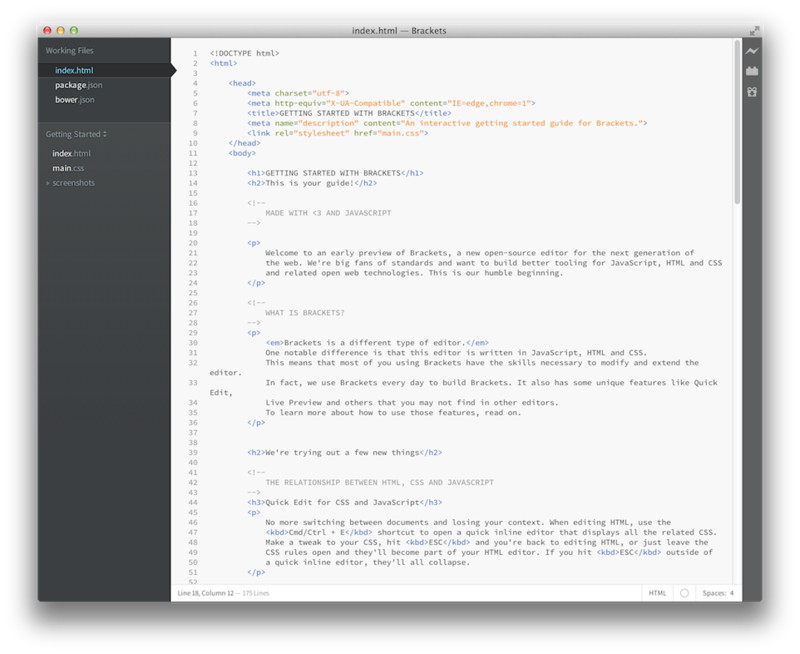 Brackets is an up and coming code editor for building any sort of web application. It’s supported by Adobe and I couldn’t recommend it enough, especially since it’s free. 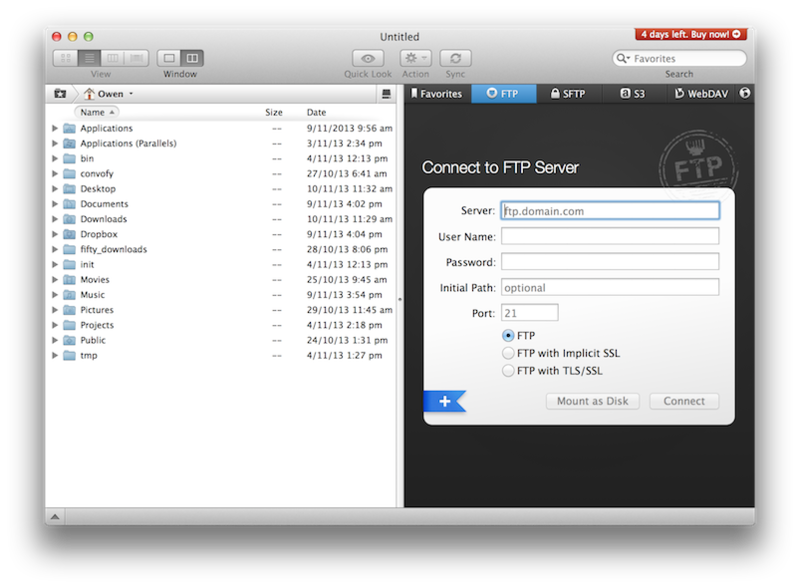 On its homepage, developer Panic calls Transmit the “ultimate” FTP application and I couldn’t agree more. It’s extremely powerful and does so much more than just FTP, with S3 and other cloud storage supported too. It’s the best FTP app I’ve ever used, I didn’t even hesitate to buy it. Transmit has a free trial but a full license is $34 US. 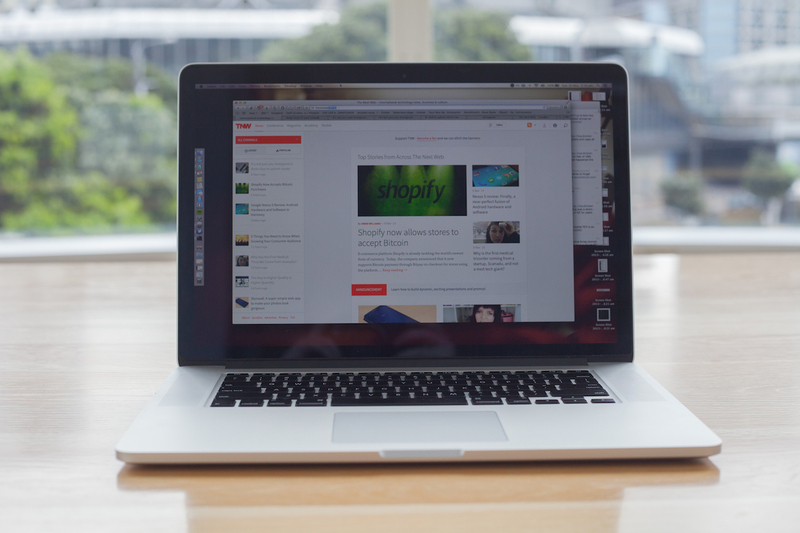 I find sharing files with others a little painful, but Cloudup is the perfect solution for that. If you want to quickly share a photo, video, application or anything else, Cloudup is the best tool bar none. Because it’s based on NodeJS, it’s lightning fast and you can actually send a link to your file before it’s even finished uploading. Even better, with OS X’s awesome built in screenshot tool (⌘ + Shift + 4) it automatically uploads screenshots as you make them and copies the URL onto your clipboard. Recently acquired by Automattic, Cloudup is invitation-only until it launches, but we’re giving away invites to the first 500 readers who sign up using this link. If you miss out, Cloudapp is a similar tool that’s also free. If you’re a Windows refugee like me, you’ll want to buy Parallels’ virtualization software to run any applications or games that aren’t available on Mac. The VM runs in its own “space” when in full screen mode but you can also choose to run Windows apps on the Mac desktop natively using Coherence mode, which I love. 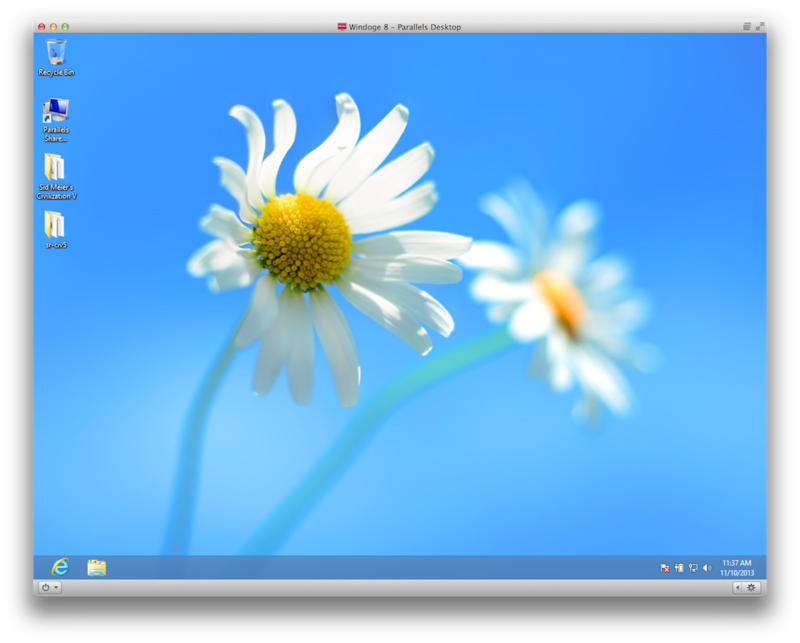 I chose Parallels over VMWare Fusion for better graphics performance and more frequent updates. Parallels is $79 US and is well worth the money. There’s lots of other modifications I’m learning about right now for OS X such as dot files, so keep an eye out for future posts on my journey from PC to Mac. Now that I’ve switched, I don’t think I could ever go back.